Hotel room was simple with comfy living room chair footstool, small fridge, dresser, tv, queen bed, and adequate very clean bathroom. Shared Kitchen with basic cooking tools, outside grill, and eating areas inside & out. Breakfast provided on weekends.Staff very friendly & helpful. French Quarter nearby but not real close. I would stay here again without hesitation. The overall experience was pleasing and I can't wait to go back to NOLA! Exceeded expectations. Great value. Quiet. Good location. The hotel was just what we needed for Mardi Gras. We were literally less than 10 mins away from everything via Lyft or Uber. The location was perfect we were less than 7-10 mins away from Downtown as well as Cajun Seafood, Treme Hideaway, and Genes Poboys all local staples in NOLA. The area is safe and quiet. We felt right at home. The staff were very welcoming and showed true Southern Hospitality. I will be booking here each time I come to NOLA because the location is perfect!! More or less close to the French quarter or rather cemeteries, but not to the street car. For some could be better to find a hotel close to the street car, but a day (24h) ticket and freely travel then by the public transport. Regarding the hotel itself, was booked with final payment to be done in the hotel, but in the morning on the day of arrival my card was already charged for two days... a bit wired, isn't it When I arrived I spent some time by the counter as employee wasn't able to find my reservation (paid already, as mentioned above). Finally somehow based on provided proofs (reservation number, card payment) I received a key, although still somehow conditionally... ;) There wasn't warm water, AC very laud, had to turn it off at night as woke me up.. In general not bad, but maybe there are better options. Not suitable for business people....the room has little space for moving around in it but a refrig and ample coffee you make yourself. The staff was really nice and very accommodating.The hotel was clean. For the price it was worth it. Not in the best neighborhood, but we felt safe the entire stay. I would not recommend walking to the French Quarter from this hotel. To far and definately not safe at night. Catch an Uber or a cab. We came to New Orleans and stayed for four nights at the Treme hotel. The staff was very helpful and friendly, allowing us to leave our bags before we checked in and after we checked out so we could maximize our time hands-free. The room and bathroom were clean, and sized more than fairly for the price. As we had read elsewhere, the hotel wasn't in the fanciest area, but we felt comfortable walking to the French Quarter daily, reserving uber rides for our nighttime returns though. We were very happy to get a great bargain and would happily stay again! 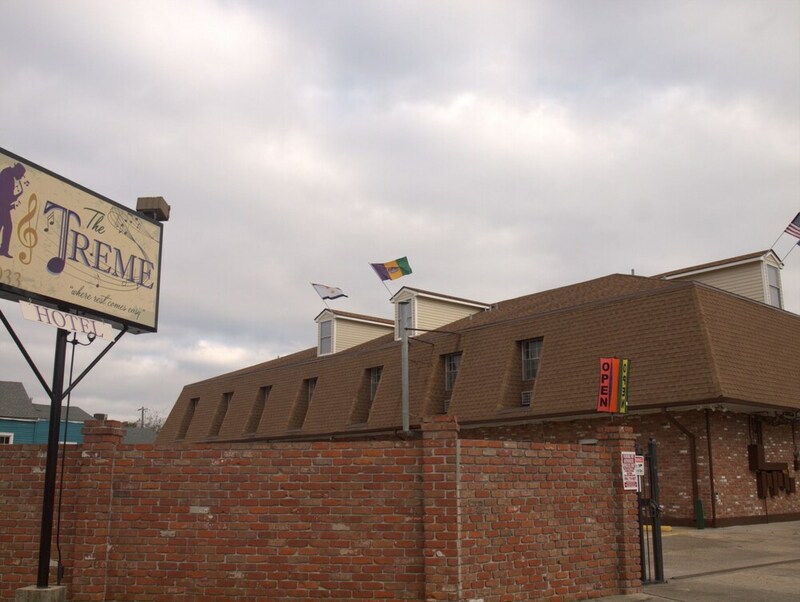 Located in Treme, The Tremé Hotel is within a mile (2 km) of popular sights such as Canal Street and Bourbon Street. This hotel has 27 rooms and welcomes guests with conveniences like free breakfast, a 24-hour fitness center, and free in-room WiFi. Free continental breakfast is included with your stay and awaits you on weekends. 32-inch a flat-screen TV are available for entertainment, and guests can stay connected with free WiFi. The bathroom offers hair dryers and free toiletries. Other standard amenities include a refrigerator, free long-distance calls, and free local calls. Guests of The Tremé Hotel enjoy a 24-hour fitness center, free WiFi in public areas, and coffee in a common area. If you drive, put free parking to good use. The 24-hour front desk has staff standing by to help with tours or tickets, and answer any questions about the accommodations. Additional amenities include laundry facilities, a picnic area, and barbecue grills. Free continental breakfast is served on weekends. Recreation features at The Tremé Hotel include a 24-hour fitness center. The preferred airport is New Orleans, LA (MSY-Louis Armstrong New Orleans Intl. ): 22-min drive, 15.8 mi/25.4 km.